Most senior citizens are quite capable of taking care of themselves, moving around independently and going about daily activities without the need of any assistance. However, situations sometimes arise where an elderly person may require regularly monitoring and assistance. It is not always possible for family member to be attending to the needs of older relatives around the clock. Who is an elderly sitter? Sitters for the elderly are dedicated individuals who are employed to overlook older people, either in the home environment or while in a hospital, during the hours when permanent caregivers are unavailable or if family members and companions are not able to provide any care. An elderly sitter is not necessarily a nurse or related health care professional but rather a person who assists with the daily needs of a senior. The purpose of the elderly sitter is to to assist and therefore improve the quality improve of life of the senior often with their special age-related needs rather than being seen as a housekeeper or nurse. An elderly sitter is accustomed to dealing with seniors and assisting with their unique needs. Who needs an elderly sitter? 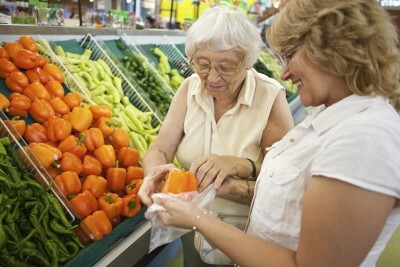 Elderly sisters may be helpful for any older person irrespective of the level of functioning. The thought of an elderly sitter is not always a embraced by older people, except by those individuals who desperately need assistance. Having spent a life of independence and now requiring the supervision of an adult can be upsetting for the elderly. To now consider the services of an unknown person can be even more daunting for a senior. Caregivers must therefore approach the subject with sensitivity. Any older person who is unable to take care of himself or herself or runs the risk of endangering their lives or that of others without care needs an elderly sitter. It is often thought that an elderly sitter is only needed when a person is physically impaired or bedridden but even enabled bodied elderly person can benefit from the services of a sitter. Age brings about changes in the body that can make everyday tasks slightly more difficult or sometimes outright impossible. The elderly sitter is therefore present to assist a senior with these daily tasks and where necessary conduct certain tasks on the behalf of the senior or their loved ones. Essentially an elderly sitter is a companion to the older person rather than a hired hand just for specific tasks. What are the duties of an elderly sitter? These are only some of the activities that an elderly sitter may assist with and individual tasks depend upon the needs of of the older person in question. As far as possible the sitter helps an older person with these tasks when and where necessary rather than doing every task for the senior. This allows an older person a level of independence with assistance on hand when and where it is necessary. Where will an elderly sitter be helpful? The services of the elderly sitter may be required whether an older person is in hospital, a other health institution, nursing home, living with family, living independently or residing within a retirement community. Although an elderly sister can help even able bodied older people with intact mental faculties, a sitter is probably most needed for a senior with debilitating physical and mental ailments. An elderly sitter can therefore be hired for full time, around the clock services although this requires more than one individual, or hired for short periods during the day or night. The needs of the elderly person in question should first be assessed and then a decision made on what type of elderly sitter service with the most appropriate. Ideally this would involve the input of an geriatric health care professionals, including a physician, physical therapist, occupational therapist, social worker as well as the feedback from family members or living companions.